Scheduled for release next week in the U.S. and Australia, “Exilium,” the third album from Iberian blackened extreme metallists NOCTEM, is “a must-have for any fan of the genre” (Metal-Temple)! Produced by Anathema’s Daniel Cardoso (Angelus Apatrida, Ava Inferi), “Exilium” features 12 addictive songs including two previously unreleased bonus tracks! 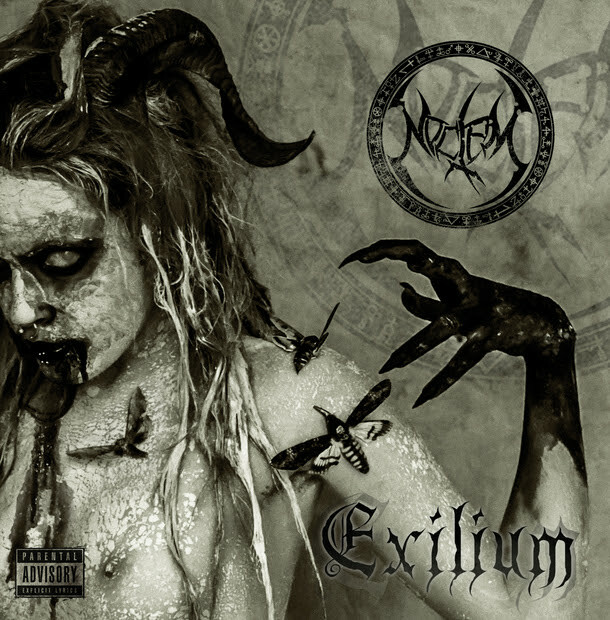 Hailed as NOCTEM‘s best effort to date, “Exilium” has been praised for “merging the relentless brutality of bands like Behemoth and Belphegor and the melodies and atmosphere of bands like Dimmu Borgir and Septicflesh” (Dead Rhetoric). Having released their debut LP in 2008 on Australia’s Noisehead Records, which featured Christos Antonious (Septicflesh) and Leal (ex-Forever Slave), NOCTEM immediately rose to acclaim. Their next album, “Oblivion” was recoreded with Daniel Cardosa and received near-perfect rationgs from local and international press while being released via Rising Records (EU) and Metal Blade (N. America). The band has toured nationally supporting acts including Hate, Incantation, Samael, Melechesh, Keep of Kalessin, Marduk, and Immolation to name a few. Their next plan of attack is to conquer audiences in North America in 2015!